A red velvet whoopie pie at Bangin’ Whoopie Pies in downtown Bangor. 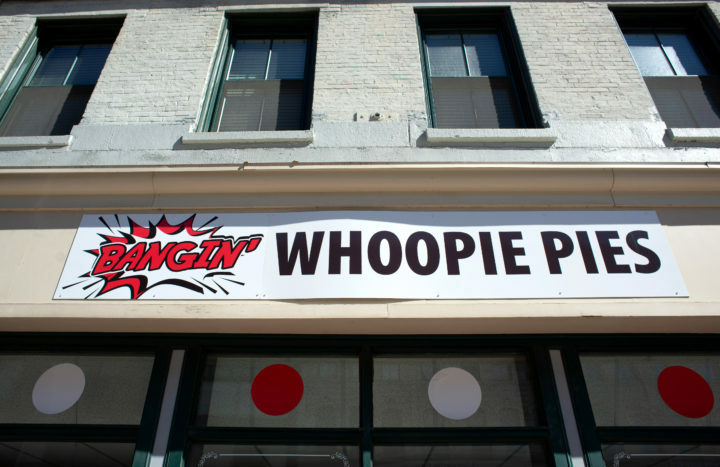 James Gallagher wants to bring some bangin’ whoopie to downtown Ellsworth. The 30-year-old owner of Bangin’ Whoopie of Bangor plans to open a small store in The Maine Grind Building at 192 Main St. on May 1, he said. The move into the 300-square-foot space represents Bangin’ Whoopie’s second big move this year. 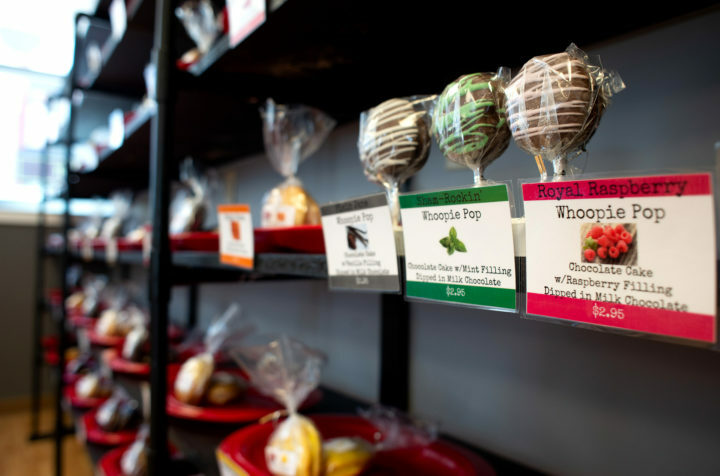 The whoopie pie baking and retail business opened its downtown Bangor location at 6 Water St. in February and closed its other Bangor location on Hammond Street on Sunday. Under its previous name, the Whoopie Pie Cafe, the business had another location in Brewer that closed in 2016. Bangin’ Whoopie Pies at the corner of Main Street and Water Street in downtown Bangor. The business is expanding and opening a location in Ellsworth this spring. Perhaps best known as the home of Flexit Cafe and Bakery, The Maine Grind building on Ellsworth’s Main Street is a natural place for Bangin’ Whoopie to go, Gallagher said. The building is home to a number of businesses, including art galleries and studios, a massage studio, and a law office. The Bangor Daily News also rents an office in the building. “We are definitely looking to keep expanding,” he said. Bangin’ Whoopie Pies at the corner of Main Street and Water Street in downtown Bangor. 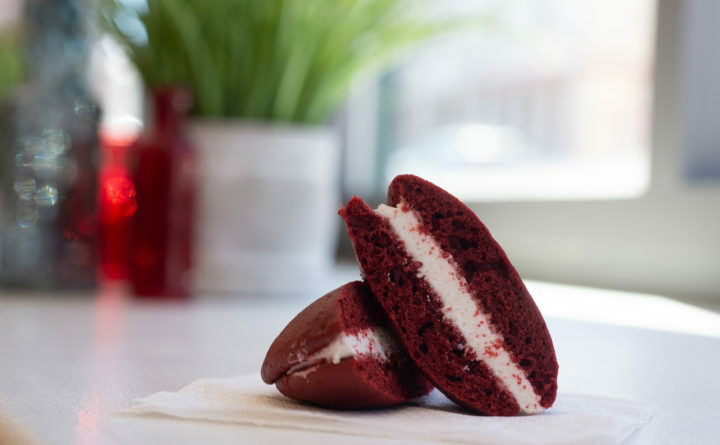 Bangin’ Whoopie will hire four people in a mix of full- and part-time positions to staff the Ellsworth location, bringing the business’ total number of employees to 10, Gallagher said. The new store will replace a photographer’s gallery, Monteux Gallery, which has moved to Best Wines on Route 1 in Hancock, Gerry Monteux said. Gallagher said he plans to begin remodeling the space shortly. Bangin’ Whoopie features more than 100 individual kinds of whoopie pies, Gallagher said.